If you’ve been thinking about updating your website, you might’ve Googled phrases like how to update a WordPress website – or perhaps you’ve hired a website designer to take care of all of that for you. While the how and the end result are extremely important, there’s some critical preparation that needs to happen in order to avoid losing time trying to repair issues if the update doesn’t go smoothly. If I’d known all of this ahead of time (or knew to specify to the website designer to do this and have it in the contract), I could’ve saved myself dozens of hours of frustration and stress. Here are some lessons I learned the hard way. Backup your website before making any changes. This should be a no-brainer, but it’s not always done. Is this backup all encompassing so that every detail of both the public facing pages and the backend of your website can be restored if the update is a complete disaster? Or can the backup be accessed to cull the components you need if not all of your current website’s attributes transferred successfully to your new website? Create a list of all of your web pages. Your spreadsheet should include the title of the page, its purpose and its URL. In the event that there’s a mishap, you can easily sort the pages by priority to choose the order in which to fix them. For example, when my website designer made his changes live on my website, none of my current pages transferred over with the proper formatting. Some pages contained jumbled text, most were missing graphics and photos, and some were completely blank except for the title. At first I was rebuilding those pages based on “oh crap” moments until I finally made a list of what pages were included in proposals and campaigns, and we started triaging the issues from there. If you create this list ahead of time – and it includes analytics – you can use this to focus on the key pages to keep and perhaps some you can jettison. Compile a list of your active plugins. When my updated website went live – even though it was still a WordPress site with the same domain and hosted on the same server – some of my active plugins didn’t transfer over. But I didn’t realize this until we started troubleshooting. That’s when I discovered that a security plugin wasn’t transferred. And then I realized my SEO plugin didn’t transfer. I never created that list, so I’m having to guess what I used to have on there that was working for me. Save everything in your Media Library. The majority of my photos, graphics and icons didn’t transfer over. I don’t know why. As we’re rebuilding pages that have the funky formatting, we’re going back to the original page (via The WayBack Machine) looking to see what the graphic was, finding that graphic somewhere in my stash and reuploading it to the library. Originally, the web designer transferred over the graphics he’d saved in his files, but his server apparently had some malware or viruses on it, which got transferred to my website, which caused Google Chrome to declare my website deceptive. Fun times. So also make sure your graphics are stored in a hygienic, secure location. 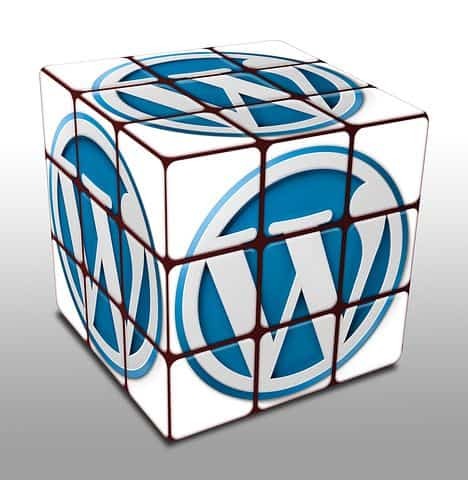 Download all information stored in your WordPress platform. I had a contact form plugin which stored the submissions. Gone. I had a testimonials plugin which stored those. Gone. I’m having to go back and manually capture the testimonials. Be sure to download whatever you might be afraid of losing. Ensure that your lead magnet and contact forms function properly. When the designer told me that the website was ready to go live, I assumed that he’d checked all aspects. Well, we all know that saying about assuming. The contact form collected minimal information and didn’t route to where it needed to go. The lead magnet form was manual instead of being connected to my database, so anyone who submitted their information to get their Productivity Kickstarter Kit had to be manually entered into the database. I should’ve run my own tests of these before agreeing to take the website live. Comb through every page listed on the website menu. Click on each page. Read each page. Click on each link on each page. Press play on every video. Test drive your entire website to make sure that each page contains the information it’s supposed to, appears the way it’s supposed to, and the correct links open. Do this in all browsers, from both PC and Mac, iPhone and Android, and tablets. If you’re not going to do all of this yourself, specify in writing that your web designer is responsible for doing this. Also include in your contract or agreement who is responsible for the costs of repairing the website – and by when – if it doesn’t function properly after the update. I am really lucky that I had two people who I could turn to in order to help me put the pieces back together. One knows how to adjust WordPress pages and the other understands the backends of websites. Obviously, you hope you don’t have to use your standby folks, but they should be lined up in case all heckfire breaks loose. I’ve spent nearly a month playing “fix it” and having to pay two other people to help me do that. And yes, I’d done my due diligence in finding an extremely reputable web designer who’s completed similar work for colleagues in my industry. I don’t have many regrets in life, but one of them is not doing what I’ve just shared with you. Good luck with your website design update!